Item # 290693 Stash Points: 4,499 (?) This is the number of points you get in The Zumiez Stash for purchasing this item. Stash points are redeemable for exclusive rewards only available to Zumiez Stash members. To redeem your points check out the rewards catalog on thestash.zumiez.com. Ever since he was a young gun, Boo Johnson had always had the heart and drive for the hustle. Stacking clips and climbing his way up to the pro ranks to receive his first debut Diamond Supply Co. pro model, the Boo-J XL Slip-On Skate Shoes. 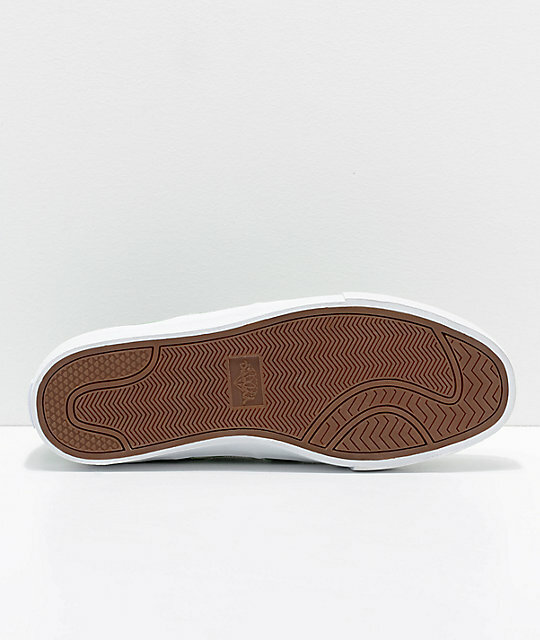 The perfect blend of skate performance and lifestyle fashion, this particular model has a suede upper all wrapped up in a vulcanized construction for board feel. The interior of the shoes has a spandex lining that adds a flexible snug fit for a comfortable sock-like fit. 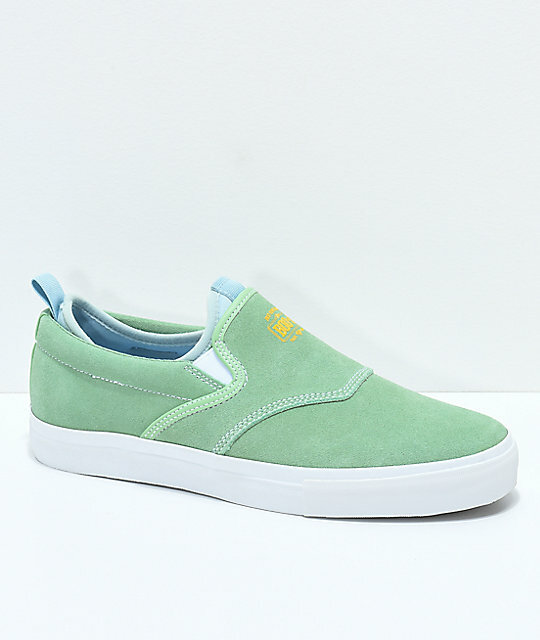 A stylish simple look to top off your skate attire. 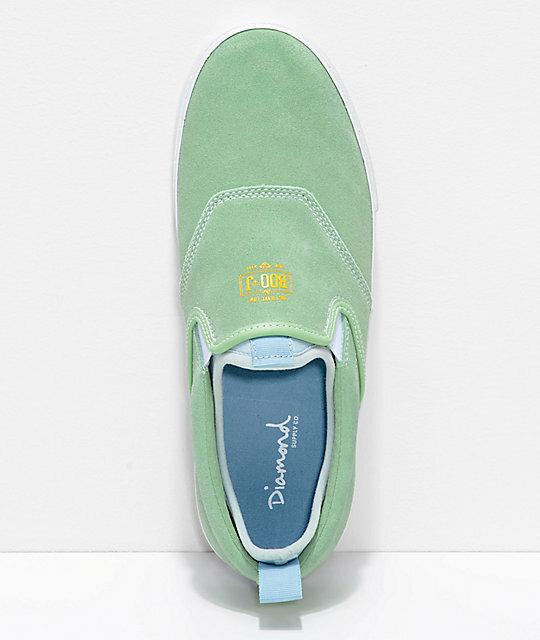 Boo-J XL Green & White Suede Slip-On Skate Shoes from Diamond Supply Co.
Full internal spandex booty and elastic tongue gussets for snug fit.